Hi. 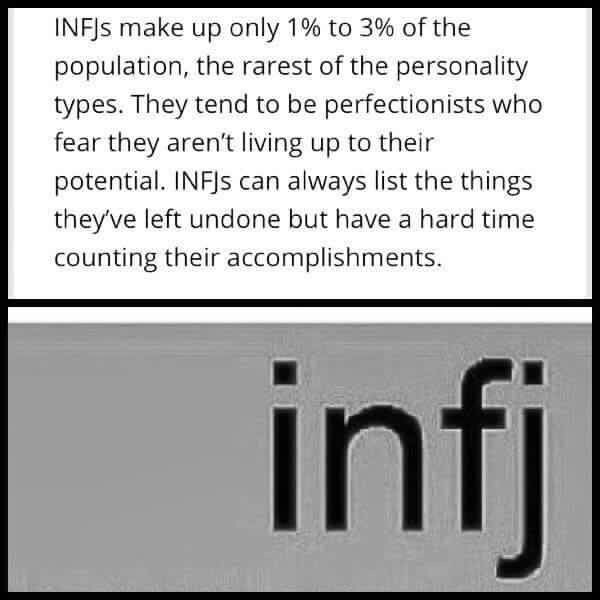 I’m an INFJ… and this is draft 473 of this post; the others were deleted because they weren’t perfect. So, who said my post wasn’t perfect? Who was the dastardly editor who made me rewrite and rewrite until my fingers were bleeding? Why that was me of course! There will never be a harder taskmaster on an INFJ than the INFJ herself. And for arguments sake, let’s imagine this post IS perfect and goes viral and scores 1mil views and likes and I become an internet sensation because of it… so what? Old news. It won’t make me happy. It won’t make me celebrate. Why? Because I’m already trying to make the next post even better. So, add this INFJ quirk to the profession of writing, a profession highly correlated with perfectionism and procrastination, rewriting and editing, despair and success. How can an INFJ ever possibly thrive in this career? How? 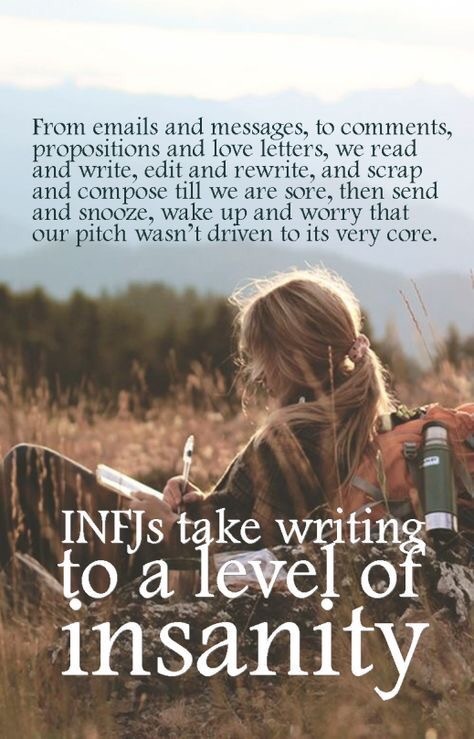 Because the INFJ writer lives writing. We give our undivided obessesional attention to writing this piece. We give our everything to this piece… and you’d better believe it’ll come out perfect. Even though we will never acknowledge it. Posted on July 5, 2017 July 1, 2017 by Jessica BakkersPosted in All about INFJsTagged All about INFJs, Blog, blog writing, blogging, INFJ, Inspiration, Introversion, perfectionism, procrastination, WordPress, writer problems. Next Next post: Witch’s familiars. Here’s hoping it all pays off. Yep, starting to feel like my old self! I think all INFs are very similar in a lot of respects. Hope you are starting to feel beetter, Jess. Story of my whole life. I’ve missed your INFJ posts. Welcome back, Jess. I hope you’re feeling more like yourself these days. I’ve had computer woes for several days so it’s going to take me a while to catch up on all the posts I’ve missed. Glad to have you back in the blogosphere! I feel you. I did the same throughout University. I scored High Distinctions in every subject but one where I scored a Distinction and THAT’S the one I remember and beat myself up about. Glad to be back too! Ok, share. How’d you break the habit? Years of therapy :)…and practicing self compassion. Realizing that my perfectionism was really just me hustling to prove my worth and be good enough. I’m a fellow INFJ but have learned to extend the same compassion and kindness to others to myself. And recognizing that I’m not the only one that makes mistakes or struggles. My worth is no longer based on outcomes or result and more about my values, qualities and characteristics that make me myself. I doubt anyone at my funeral will care if my blog post has punctuation or passive voice. Check out my imperfect post….I actually challenged myself to post it with editing 2 times. I only let myself edit twice. It’s hard but that’s where the growth happens.